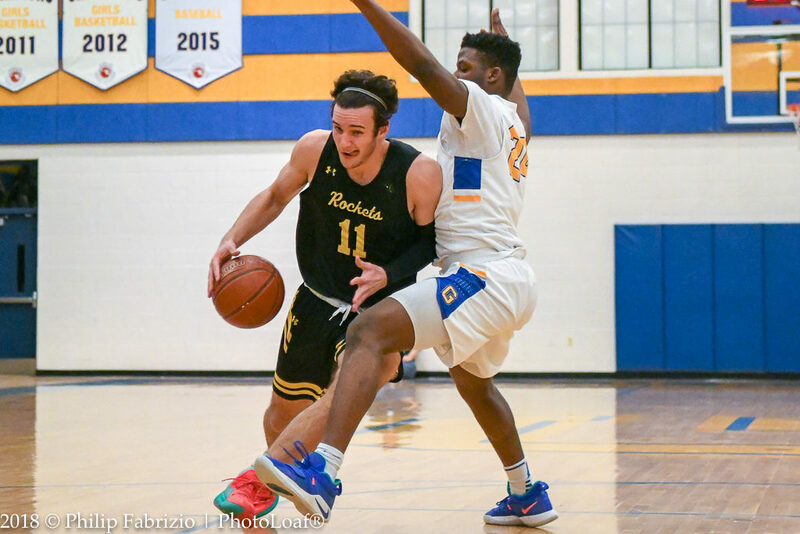 It was a packed house in Gaithersburg for the second varsity meeting between the Richard Montgomery (RM) Rockets and the Gaithersburg Trojans. It will not be the last meeting or the last packed house. The Trojans took advantage of their home court as they defeated the 10th ranked Rockets 56-35. Gaithersburg is 15th in the Washington Post’s High School rankings. Gaithersburg lost to RM on January 4th, 70-65 in Rockville. Trojan stars Jao Ituka and Jordan Hawkins combined for a total of 38 points outscoring the Rockets by 3 points. 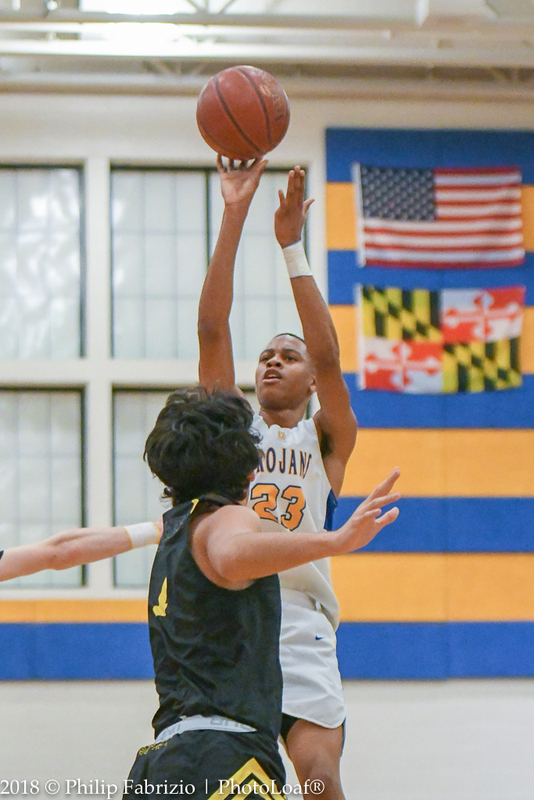 RM who on Friday had a tough match against the Rockville Rams could not benefit from their height advantage as Gaithersburg was quicker to the ball all night. 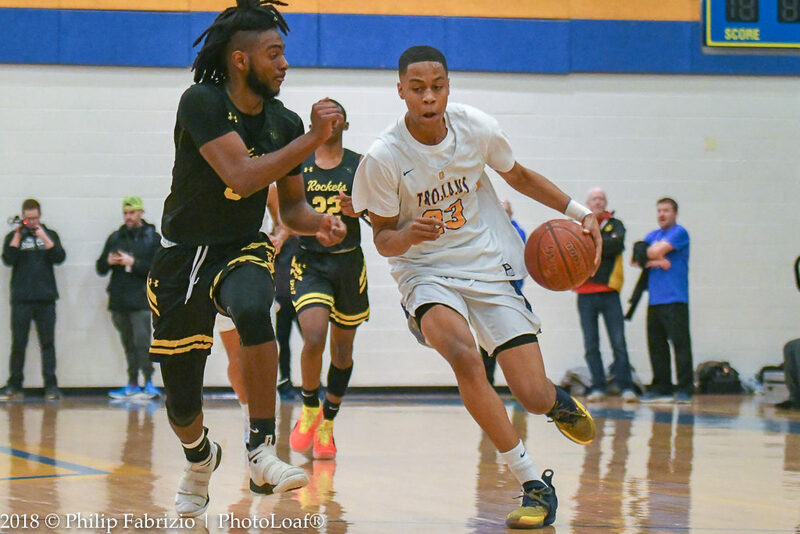 The 6’3″ guard Ituka had 17 rebounds for Gaithersburg. RM standout Ryan Cornish had difficulty hitting from behind the arc with just one 3 pointer finishing the night with 5 points. At halftime, it was 26-17 in favor of the Trojans. RM closed the gap to 28-21 at the six minute mark but from there on it was all Trojans. Together Ituka and Hawkins put up 12 of their 38 points in the third quarter. During that stretch the Rockets depended on the good play of Devon Liyanamana and Kordell Lewis who dropped in five and four points, respectively. 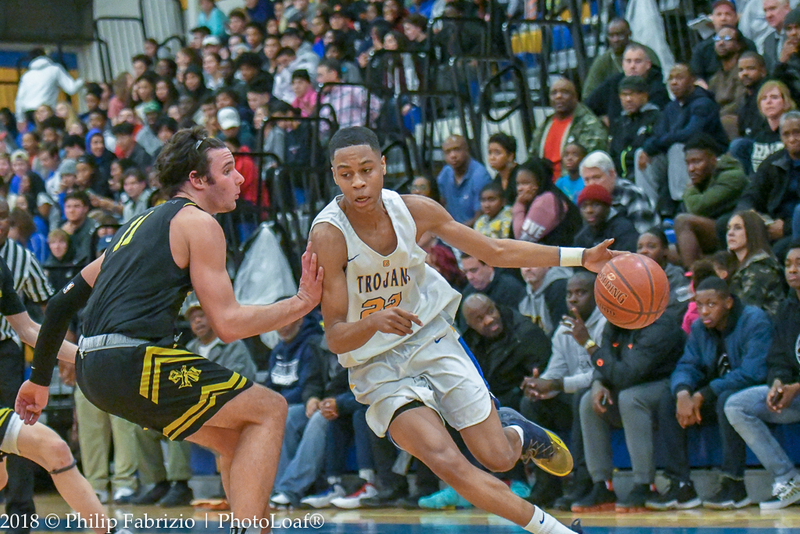 However, by the fourth quarter it was all Gaithersburg and the raucous home court enjoyed a spectacular show as every 50/50 ball and rebound seemed to go the Trojans’ way. Their 13 points sealed the Rockets fate as the Rockets could only produce four points from the free throw line.